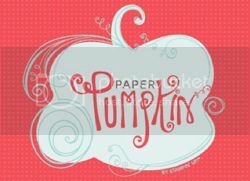 Sussex Circle Paperworks: BOO! Here's a Template for You! BOO! Here's a Template for You! Next time you're out shopping, buy a bunch of clipboards. You can decorate one for every holiday and display them in your foyer to add an extra welcome to your visitors! 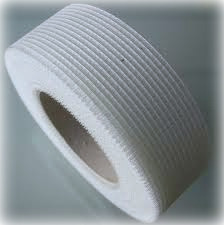 A big roll like this one will last forever. I have had mine for so long that I don't even remember how much I paid for it, but I'm sure it was under ten dollars. 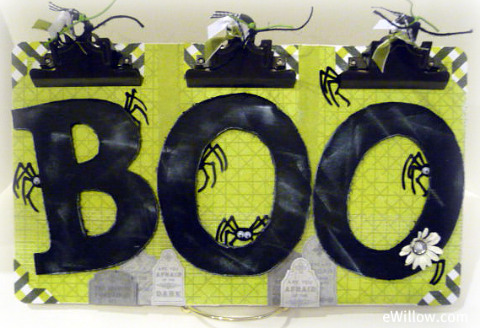 Every paper crafter needs a roll of drywall tape, especially with Halloween quickly approaching. It adds so much spooky flair to a project and it is so easy to work with. It is sticky on one side, so all you need to do is cut it the length that you need and stick it to your project. You can even use a brayer and ink and make it any color you want to make it. You can't see it in the photo, but I put a piece of drywall tape along the length of the BOO clipboard. It kind of brings out feelings of mummies and creepy stuff. Now for a brief tutorial on how to make the clipboard. First, click HERE to download the letters. 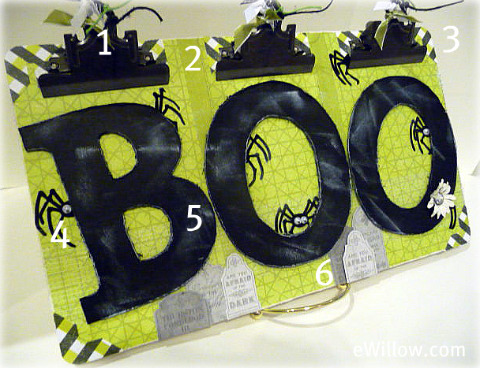 1) Tie lots of different textures and colors of ribbon through the hole(s) at the top of the clipboard. 2) Cover the clipboard with a couple of different colors of coordinating decorative paper. 3) Use photo-corners or a photo corner punch to cover the tiny areas of the clipboard that you can't quite cover during step #2. 4) It's a MUST to use tiny googly eyes on the spiders! 5) For the letters, I used black cardstock and then randomly stamped a white craft ink pad directly onto the paper. It gives the look and feel of cobwebs. 6) I cut out tombstones from one of the sheets of decorative paper. I adhered four tombstones directly to the clipboard, and I used dimensionals to adhere the remaining two. It has a great 3-D look to it.